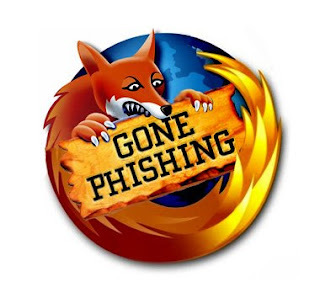 I found out today that firefox has built in phishing protection. I've never opened a phishing website up in Firefox, but today I thought I would have some fun. Warning: Explicit language in some of the large images. 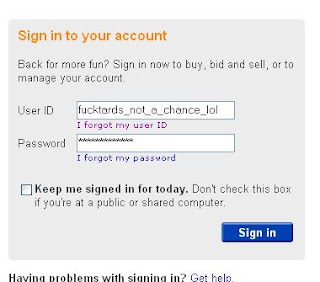 The ebay sign in page. I entered in my username and password. After entering in my username and password I was asked to enter in my email username and password. WTF? Anyways I entered in the information as required. A rough photochop. Could you could do a better one?